This bracelet is the result of lots of experimentation with different materials. 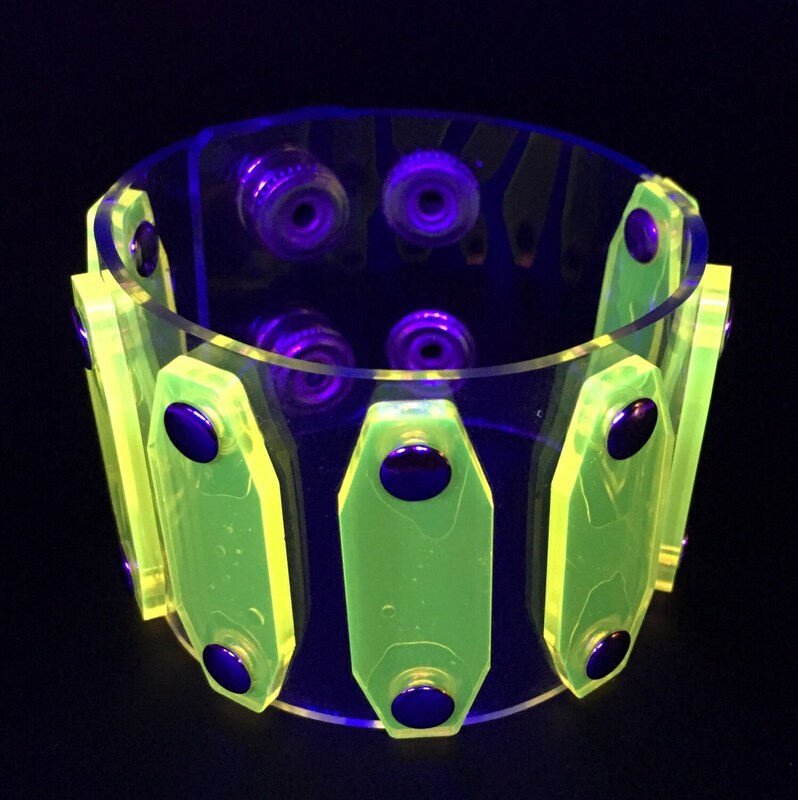 Both the clear PVC backing and the transparent-fluorescent-yellow acrylic takes looks like an interesting piece of transparent jewelry in normal light(Pictures 3-5). When exposed to colored light (especially blue), the yellow acrylic glows so brightly it looses transparency(Pictures 1-2). This bracelet looks very cool and unique all the time, and then offers a special surprise in the right lighting situations. This is a custom made item that we only made one of. 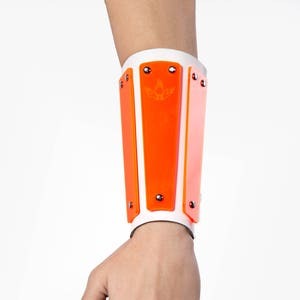 Please take a look at our other gear for bolder accessories in a similar style. One size fits all by way of 2 different rows of snaps - see picture 4.